Post 100! 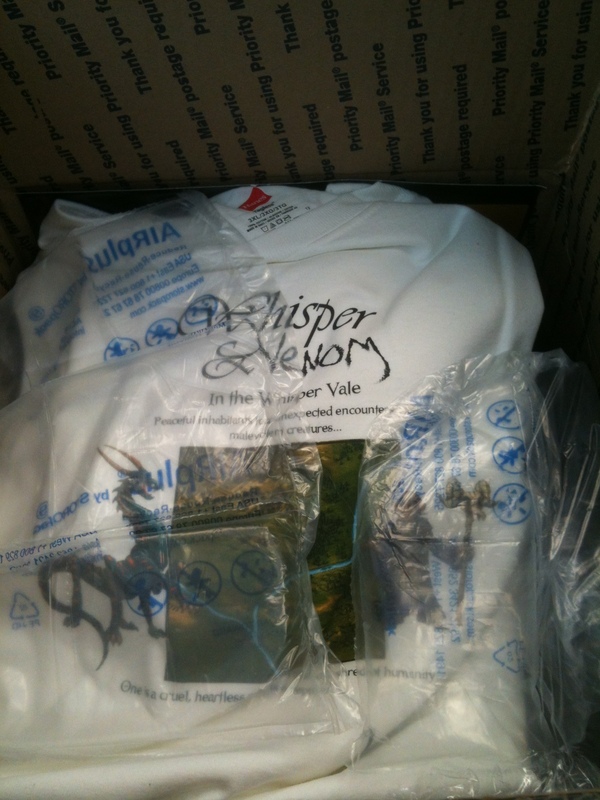 Whisper and Venom Arrives! | Orcsamongus! Post 100! Whisper and Venom Arrives! Welcome to post number 100 here on Orcsamongus.com! When I started this blog as a way to share my experience with Gen Con, I was amazed that anyone came to check it out at all. Now, I’m approaching 10,000 views and I’m even more amazed that anyone still visits the blog. Thank you all, from the bottom of my heart. I hope to continue to provide you a glimpse at the World of Gaming through my eyes. I was going to finish up the Tomb recap but the gaming group has been on a kind of pause since Thanksgiving, mostly just playing Star Trek Attack Wing. So I dallied. I delayed posting this because I knew something cool was on it’s way to me, and it just arrived! This entry was posted in gaming, Home Game, Labyrinth Lord, Lesser Gnome, OSR, Uncategorized, Whisper and Venom and tagged 100th Post, Gaming, Home Game, Labyrinth Lord, Lesser Gnome, Orcsamongus, OSR, Whisper and Venom by dcisek. Bookmark the permalink.